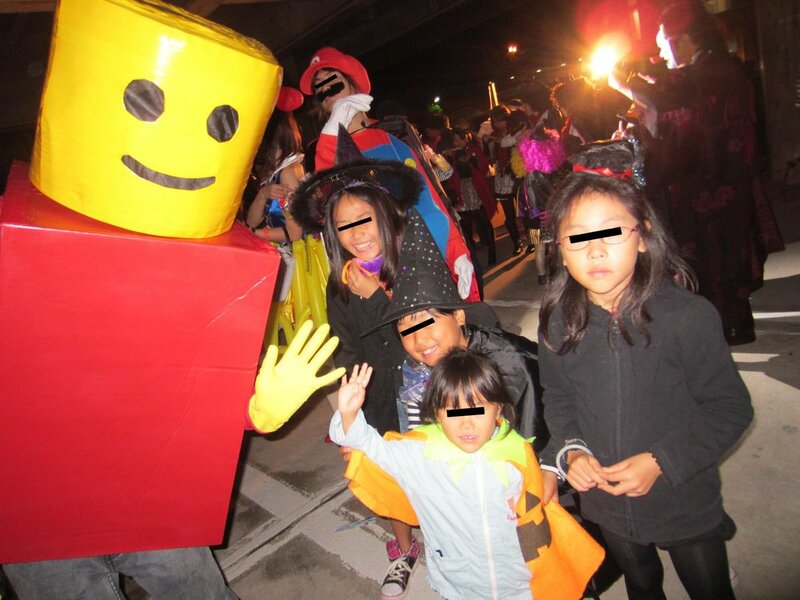 Well this was my second time here in Fukui for Halloween. I did the exact same thing as last year, spending the Saturday night of on the “Halloween Train”. 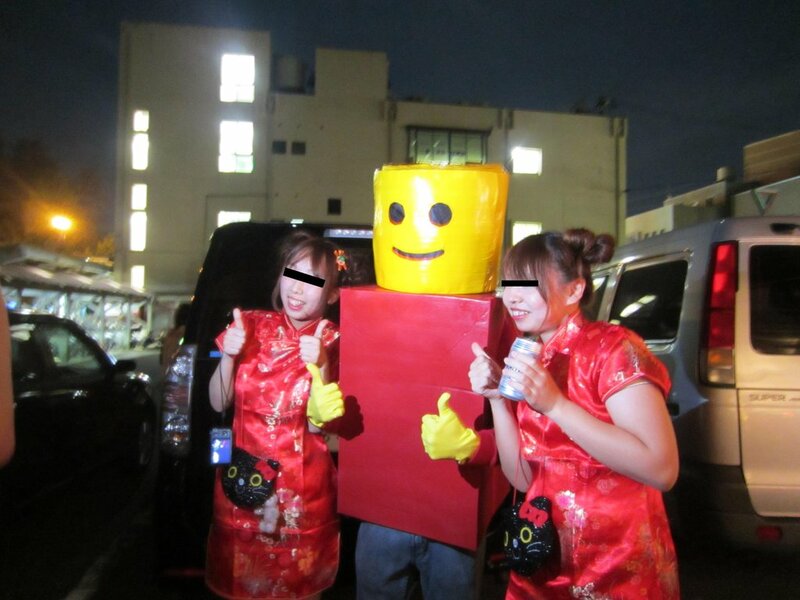 The costume of choice: Legoman. 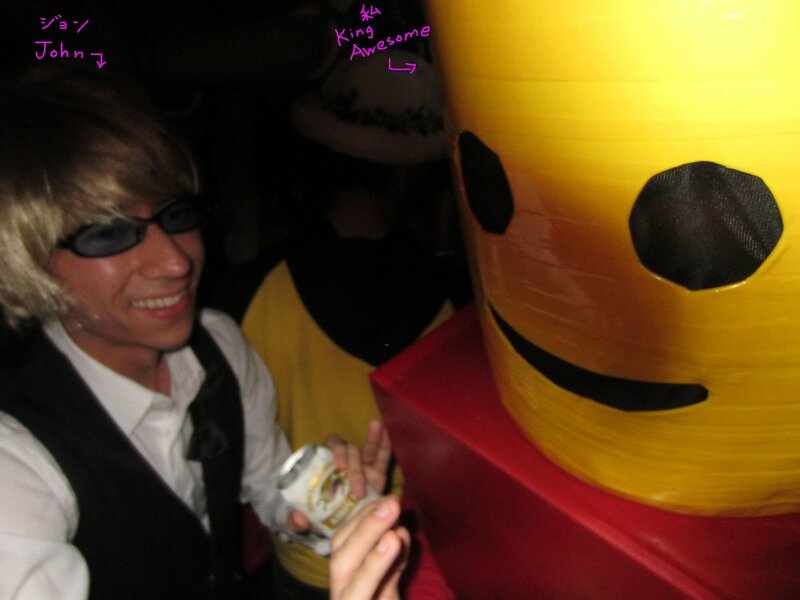 Nearly everyone knew what I was, but who was inside the happy yellow fellow was as mysterious as last year’s sheet ghost. Much like last year’s costume I couldn’t really see anything and needed assistance with steps. I just wanted to make a simple to make costume within a short amount of time; I never expected so much attention. My wife said that many women and children were taking pictures with me. Sounds cool and all, but I could only see who was around me clearly about 50% of the time. Hmm… if only I could see myself back then. Click here to check out last Halloween.